Charles Worthington talks HELLO! Online readers through recreating his favourite hair looks from the Oscars. | HELLO! Awards season may be over, but I wanted to quickly touch on my favourite hair looks from the Oscars and how to recreate them. 1. Use the GHD waving tong on the hair in vertical sections to create a soft bend. 2. Take two sections of hair by the ears and twist them around each other whilst twisting each section as you go. 3. Secure with Kirby grips and then use a decorative clip at the back to hide any slip ups. Brie’s dark blonde tone with soft highlights is ideal for someone who wants an all over colour that looks as natural as possible. It would be very close to her natural colour but is enhanced with a quarter head of highlights that are a soft blonde. If your complexion is quite pale and you want to go darker then this is great colour for you! 1. Part the hair far over when blow drying and use a round brush for maximum volume with moose. 2. When dry use a barrel tong like the GHD wave tong rolling it forwards onto the face so you are creating a roll coming onto the face. 3. Gently brush out into place and use hairspray to secure. Samantha Barks is an extremely loyal client of mine and we have had some great fun on shoots in the past. 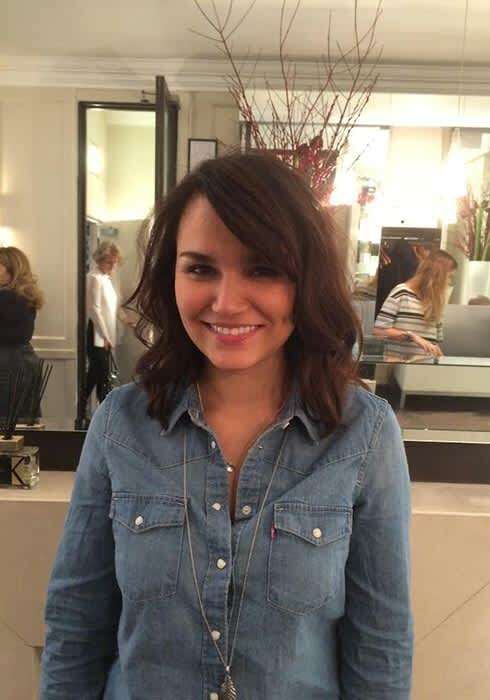 In the salon, Mathew Soobroy took her darker by putting on an all over chocolate coco brown gloss. Prior to the gloss he hand painted on copper brown to Samantha’s old blonde highlights to create a texture of tones and give a multi-dimensional look. He decided to give Samantha a modern bob after her extensions were removed. The cut created extra thickness to Samantha’s hair and I went for a shorter swept fringe to frame her beautiful face – this will also mean it will look softer when wearing up! 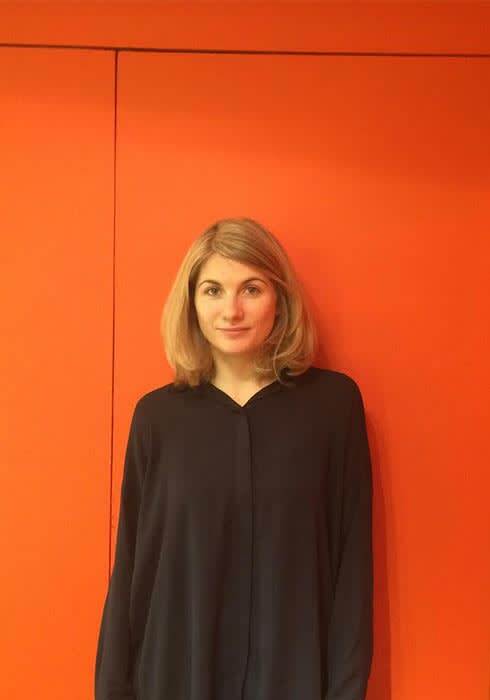 Mathew also took Jodie Whittaker from brunette to blonde ahead of filming for her new role in boxing drama, Journeyman. To take Jodie from brunette to blonde Mathew used a paint on affect colour, sectioning the hair like highlights alternating two high lift colours to give texture. He cut in a strong Bob which was shattered with long layers for movement. 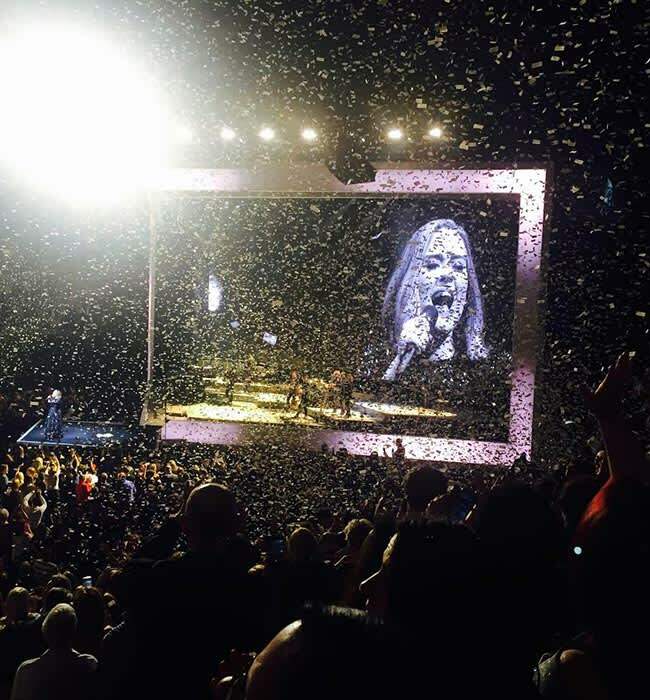 I recently saw Adele at the O2 as part of her tour and she was ABSOLUTELY incredible - I would definitely recommend trying to see her in concert. She was so funny and really interacted with the crowd. At one point confetti rained from the ceiling but it wasn't just any confetti - it was song lyrics which created a truly magical moment. Charles Worthington blog: Is it time for a new hair colour?